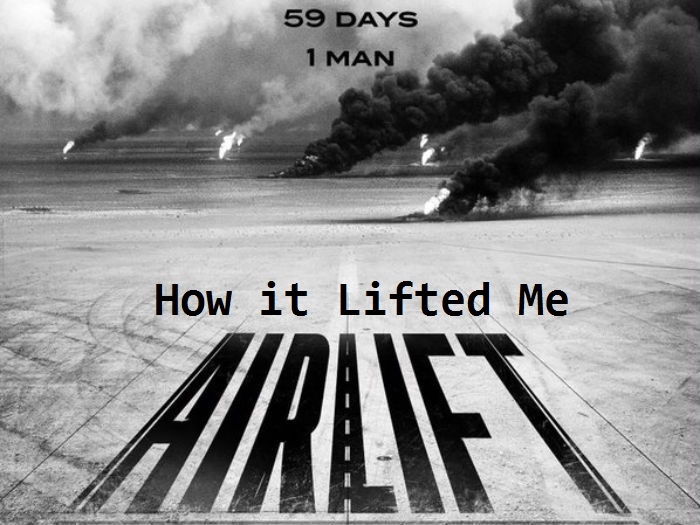 Home/Inspirational/Airlift – How it lifted me? Today, I was watching Airlift, seems a little weird as its been long since the movie got released and made huge success in Bollywood across the country. But it brought sensations in me. Till yesterday I was holding myself for little things love life and lot of things that I have planned and thought but didn’t go as expected. Everything shattered. The person who is my best friend have left me just in her ego and all. However at this moment while I’m writing the post haven’t yet finished the movie nor watched from starting but the part have influenced me till my soul. Questions aroused in my heart asking mind for whom were you crying? For those who don’t even know if they are human. Rather are confused between religion neither really are aware about their own religion nor about the teachings. Forget about knowing love or caring about feelings. Yes true the words may taste bitter to one who might be so much religious but in actual that person would neither have knowledge what his or her Allah, Bhagwan, God, Jesus told in name of religion nor would have enough courage to accept all the teachings of all religion equal. Moreover would have known that all teaches peace and love. Yes! and let me tell you very frank my words will seem to be negative, not because they are but because while reading one may have made, it’s mind negative enough. So may be you or any other opponent. In all these years I have learned hell lot of things. Not just because of one person whom it would be not fair to blame. But offcourse have made me enough open to life be it spiritual or soul consciousness. So it have actually lifted me from all those areas were I was lying low but now feel pity for all those who have narrowed their mind so much that can’t see a life beyond their confide religion. Yes that’s true. It’s like if you let you mind open to acquire something really positive out of negative than all you need prior to it is courage and enough positivity to welcome the change unlike blocking you mind in confide mindset that lets your mental ability and knowledge degrade. Apparently many will think differently but the concern to solve every problem is to find one. To focus how with easy that problem could be terminated rather stressing making it an issue and later on crying for the blunder. Yes! Happen a lot, most of the time. Not just one lack maturity but the anger deceives it’s capability to think positive and find a solution.